5 to 10 students per Spanish class. Course material, Spanish level test and attendance certificate included. Free access to the library, wifi internet access for laptops, and an activities program. 2 students per family, in a double room. Families situated in the very centre of Granada, between 5 and 15 minutes from the school on foot. Cultural and leisure activities in Granada: 1 guided activity every day, except days of arrival and departure. Group Pick-up service: Return journey from Granada or Malaga airport to the centre of Granada, in a private bus. Accompanying teacher: 1 accompanying teacher goes free with every group of 10 participants in the Spanish program. 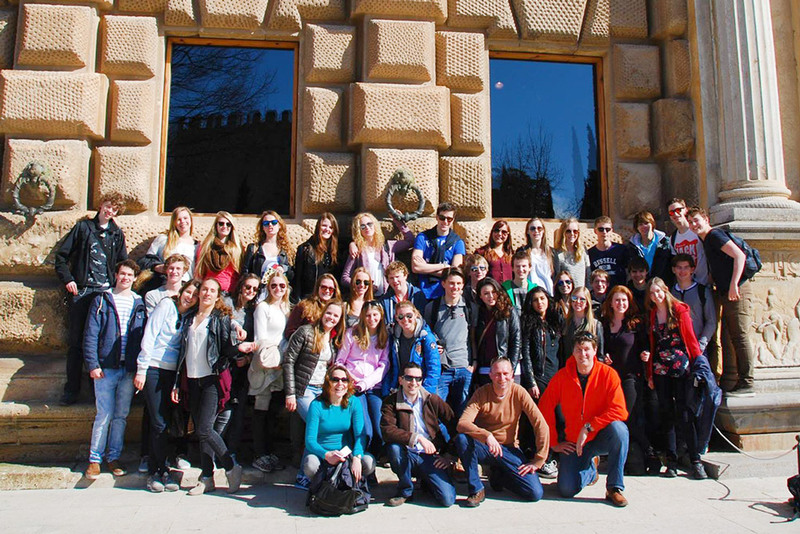 We will adapt the Spanish program for your group, and at a competitive price. Pick-up service from Granada or Malaga airport in private bus. Arrival in Granada and welcome from the host families. Monday: Spanish program with guided visit of the group through the city centre and the Albayzín. Tuesday: guided visit of Granada’s Cathedral and Royal Chapel. Saturday: Breakfast with host family, then journey in private bus from Granada city centre to Granada or Malaga airports. The school and accommodation are in the very centre of Granada. We offer quality Spanish courses, with a Satisfaction Guarantee and have experience since 1997. We adapt to your requirements and wishes. Our prices are among the most competitive in Spain.